I have decided that you need to raise the price of admission to Hawks games. Over the years we consistently are involved in some of the most epic and suspenseful games played in the NWIBL. If you want extra innings...we're your team; if you want late inning heroics, again we're your team. If you want mid inning pitching changes and well executed hit and runs....again. So I'm just letting you know that we may be asking for 60% of the gate instead of our usual 50%. We're worth it. An expansion team in 2009 the Riverhawks found a way to be competitive while defining a nucleus of players to build around. A surprisingly successful First year produced a .571% winning percentage and a fourth place finish in the year end league tournament. The addition of former AAA player PJ Hiser (Cleveland Indians organization) and collegiate stand out Mike Wood (North Carolina) helped elevate the Riverhawks play on the field. That success caught the attention of and lured long time NWIBL/PCLB/MABL manager Mike Welch (Washington State) away from his managerial duties of the Angels. His addition, along with a few key players led the upstart Hawks to a third place finish in league play and an appearance in the year end league tournament championship game. 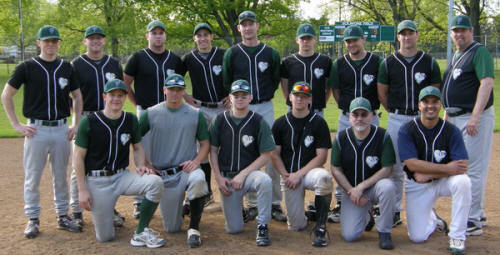 The Hawk came within one game of claiming their first league title. 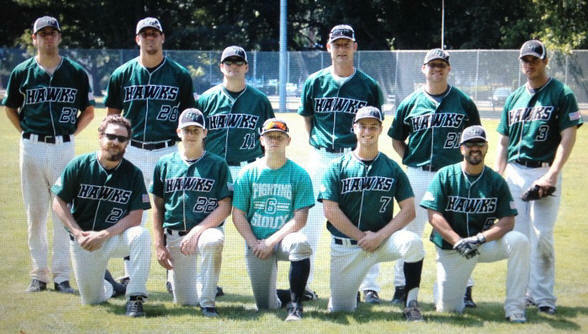 The Hawks built upon the success of their 2010 campaign and made another impressive run in the 2011 league tournament finishing just short of a much hoped for rematch against the Pirates in the Championship round finishing third. With the addition of former OSU standouts Bill Rowe (2005) and Seth Piescth (2004) the Hawks look forward to another strong showing in 2012. 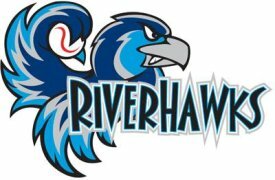 The Riverhawks are currently un-sponsored but enjoy a 45-50 game summer schedule that includes travel to Northwest destinations like Seattle, Spokane, Bend, Yakima and Medford.